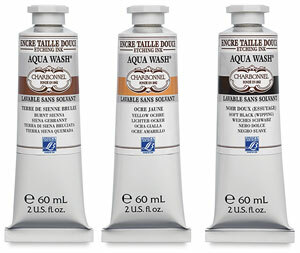 Formulated especially for artists and students working in groups, Charbonnel Aqua Wash Inks clean up without solvents, and are non-toxic, odorless, and easy to wipe. They allow work similar to traditional solvent-based inks. 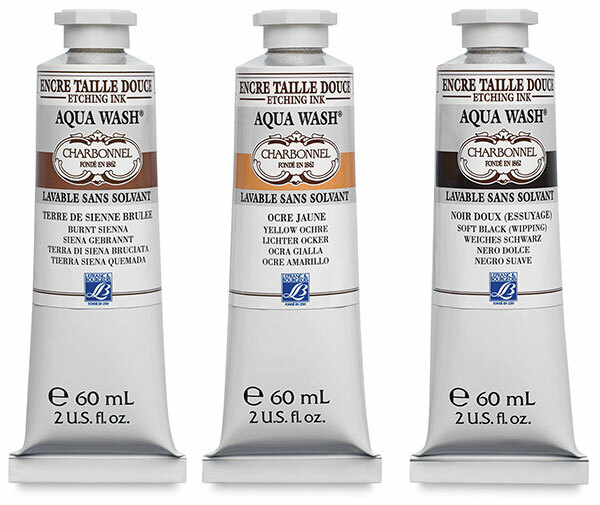 ™ Charbonnel is a trademark.® Aqua Wash is a registered trademark.